Finally here to blog about my surgeries done in Korea at REGEN Medical Group! In case you don't already know, i did my nose job and fat-grafting at REGEN last year. And i've always wanted to do something to my jawline and zygoma and laughline! So when i decided to head back this year, REGEN has to be my first choice cox the results i had with them were so good. 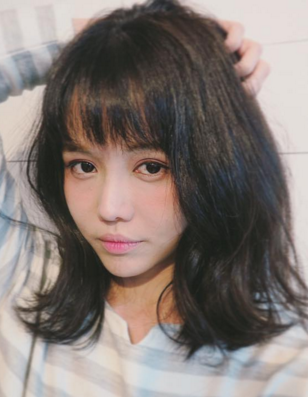 All the comments i've gotten are usually saying the result is really natural for my nose job and that the fat-grafting makes me look younger even without makeup ^.^ So i have to go back to REGEN! Very thankful to know that they are also happy to work on my face so off i flew to Korea~!!! Love how comfortable and spacious it is!!! With television and.. Being able to put your seat back and lie down like a boss haha! I had a 1 hour nap i think!!! At Regen Medical Group once again ^.^ Happy to be back~!!! Cox i know whenever i am here.. Beautiful magic are about to happen that will change my life for the better.. Forever! For example.. This is me before my nose job and fat-grafting at REGEN. At this point i only did a alarplasty in Thailand to reduce my nostril width. Which gave me unbalanced nostril sizes. And my whole face (especially forehead and cheekbone area) was generally very sunken, manly and tired looking with uneven bone structure. 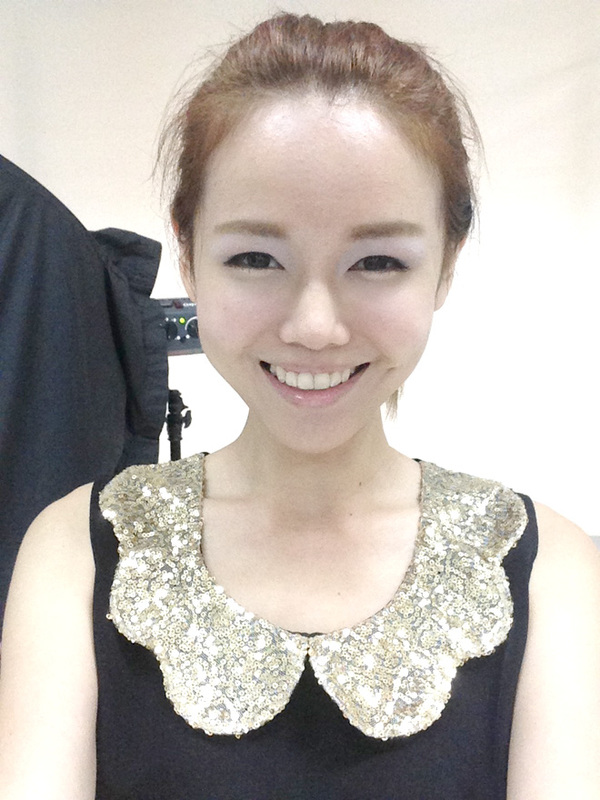 This is me 1 month after fat-grafting and nose job done by Dr Lee Seok Jun at REGEN. NO EDIT. So yup! I am back again this year to look EVEN better haha. All the doctors from REGEN who specialise in different things and are famous for doing a great job! If you can spot Dr Lee and Dr Oh (the doctor who is going to do my jawline and zygoma surgery!!) they are both super well-recognized for their skills and achievements =) Happy to be under their care! Super huge holding area for every guest's comfort. Whenever she comes in me and Josh be like "Omg she's like a ball of sunshine!!!" Daisy will be the one answering all the emails and helping you check with the consultant about all your questions before you decide to go ahead and do anything =) So if you have any questions, you may email them to find out more details before deciding on anything! Yeon at the video camera and Sun at the back! Sun has been a joy to work with and she's helped me coordinated all the arrangement for this surgery to happen =') THANK YOU SUN! And she's so easy to talk to and so ever ready to help out with everything. I just cannot believe how this whole journey was so easy.. So simple and so.. Enriching. There were so many things that could be done that i never knew of, until the consultant shared with me. All the little little surgeries you can do to enhance your features, to look younger.. To look more feminine and to look BETTER! Getting X-ray images done with the most advanced machines at REGEN. And i finally get to meet my doctor this time!!! Doctor Oh Myung June from REGEN! He gave me a very easy-to-understand explanation of what the surgery is about and how it will be done and answered all the questions i have =))) I find it very assuring when i have a doctor who can tell me what i need and what i don't need to do. Initially i wanted to have a forehead skin lift to help with my ptosis but he suggested me not to cox this kind of surgeries are for people of a bigger age and my ptosis can be fixed easily with botox on the right places. So i decided to keep that on hold! I totally trust him haha! Instead he suggested i do an paranasal implant for my laughlines cox he asked me what else am i most unhappy about my face, other than my square jawline, and large chin and protruding zygoma. So i said my laughlines have been a huge problem for me in real life and in pictures. So after the consultation i am actually feeling super excited and thankful that i am in good hands! Actually i already know of Dr Oh from all the television programs he has been invited to share his professional opinions about and i've seen how he's changed people's lives for the better with his magic hands! On the famous reality series LET ME IN (LET 美人)!!! Have you guys seen? You could go to Youtube to check them out. I tell you all first ah, very touching one will cry one =X When i see how their looks and life become better i'd shed tears of joy for them =X And Dr Oh is gonna be one of the chief surgeons for LET ME IN 3!!! The show is sooooo popular in S.E.A that is it running into its third season. Some of the episodes where you can see Dr Oh haha. Actually there are a lot more but i guess these are the four different concerns. But if you sift through Youtube you'd find a lot more of the cases that Dr Oh and the team from REGEN helped out with =) You can just go to the main page of REGEN website and click where you see the pink arrow to check out the videos. Thankful to be working with the best =))) He also very kindly passed me some masks for me to use during my recovery stage!!! To ensure that my jaw line maintain a good V-shape ^.^ The masks are developed and manufactured by REGEN and i've tried them, the lifting pressure is indeed awesome. I am sure we all read from forums and from all our review research about cases where their plastic surgeons promised them everything and did everything as according to what they want. I've had friends who went to do and redo their noses and eyelid suregeries =X Some from Korea, some from Thailand. Usually revision of surgery cost more than initial surgery. But then really it's not about the cost lah.. It's about the recovery omg. I will never wanna suffer two or more times of the same recovery lolol. The thought it just unbearable. One with the girl power!!! After the consultation and blood tests i check into my guesthouse in Gangnum as well!!! Another thing i love about REGEN and Big John's Place (my guesthouse)!!! They are both located in Gangnum where all the happening is and is easily accessible! Arrived at Big John's Place Bed and Breakfast Guesthouse which was less than 10 minutes away from REGEN by foot ^.^ Picture from their Facebook page! 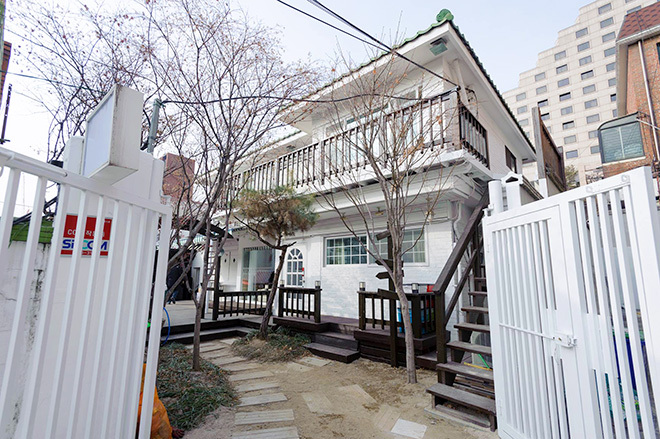 They only have 6 rooms so if you have plans to visit Seoul, you have to book the rooms quick. The 6 rooms can house a total of appx 16 people. Some are double room, some are family room, some are bed for let for single traveller =) And there are 3 bathrooms. So you don't have to wait for your turn haha. And yes, it is much more affordable than booking a hotel, of course! Most importantly.. THE PLACE IS MAJOR CLEAN. All thanks to the house master and missus, John and Sunyoung =))) They are really good hosts and they make breakfast for everyone everyday! T.T I miss their muffins and cupcakes already. As you can see here.. My bedroom.. The second floor common area where John and Sunyoung prepared lotsa traveller's guide and interesting leaflet of the one-time classes or interesting things you could do and see during your stay in Seoul. There's also a computer there for everyone to use ^.^ And the last picture is me looking down from the balcony =) It's just so relaxing to be here. I'd tell you FIVE THINGS i love (and i think you will too!) about Big John's Place!!! 5. FREE WIFI FOR ALL~!!! Clean and comfy dining area, free wifi, security system, comfy couch. No other reasons not to love Big John's Place haha. I love sitting near the full length window panel and just enjoy the sunlight.. Also there's game console, boardgames and the guitar for everyone to enjoy. Another beautiful angle in the house..
Got to my room! Before it the beds were joined for me and Josh ^.^ Simple, clean and tidy! My own vanity table and cupboard! Anyway i was just really happy everything turned out well on my first day! Went out around the guesthouse to snap some pictures for OOTD feature for my instagram. All these pictures are not edited for my face cox i am gonna get a new face soon anyway hahah. At a very unique teahouse. It's like 3 storeys high and everything they sell is so exquisite and pretty. Got hungry and wanted to snap picture at another coffeehouse so we ordered this. It sucked. The balsamic vinegar for the salad got onto the french toast and it was just really gross. No thanks. So erm.. Who still say i don't need surgery for my jawline and zygoma? Hahaha. After picture-taking i bug Josh to let me eat fried chicken!!! Actually there's so many things i wanna eat before i have to fast at 12am! But first on my list is Korean Fried Chicken cox they are the BEST! At some underground shop at Gangnam where they only serve chicken and beer haha. JUICY CHUNKS OF CHICKENNNNNN!!!!!!!!!! Omg they are so good. EVEN THE FREAKING BREAST MEAT IS JUICY ONE!!!!!!! HOW!!! I ate like 5 pcs at least i think. There were 8. ROAR!!!!! Also did some shopping and then went back to the guesthouse!!! With all the little lights and white bricks, this place is just too pretty! Muahaha! It was only 11 ish pm so i told Josh i can still stuff in another meal before i fast for the surgery tomorrow! Actually i just need to fast 10 hours before surgery!!! Went for the fried rice Mich brought us to the last time!!! ^.^ Cheap and good! Next morning, head for REGEN to have the surgeries done =))) I AM READY!!!!! Last picture of my old face with Josh ah. Hahaha. Changed into the surgery robe and get everything else ready before i go for another consultation with the doctor for him to do his markings and all. One thing i am REALLY APPRECIATIVE OF IS..
REGEN gave me a room with the best view of Gangnam!!! And i have all the privacy with my own TV, cupboard, an extra lazy couch for my guest to rest while caring for me and..
My own sink and view =) If you're recuperating in a room like this, i think you will feel better faster also haha. My face damn stupid one. Always before surgery will have very good skin and somehow look quite chio, like want me to have second thoughts like this. Last year surgery also!!! Suddenly look more cute right before surgery =__=" Hahaha. Don't try to trick me!!! My name in Korean. It's pronounced as Choo Choo like this. Last of my square and manly jawline..
Uneven facial contour line and protruding zygoma.. Huge jawline + zygoma + deepset laughlines all in view haha fml. There, also, that's my big and small nostrils with obvious scarring from my alarplasty done in Thailand lol. I've learnt my lesson. Another side.. From here you can see that my chin is a little.. Too inward cox after the nose job, my nose is more defined and sharp.. That changes how my chin looks overall on my face. So since i will be having my jawline cut, in the same surgery opening, Dr Oh suggested i move my chin outward by just a tiny little bit!!! Maybe just half a mm or at most 1 mm and that can make all the difference!!! In pictures and in real life. When Wendy first saw me after surgery, the first changes she noticed from my profile was my chin and she say it's nice haha! I didn't think there will be such a good difference!!! And with that.. I'm in surgery.. With the team i trust. A lot of people say i don't need these surgeries..
Of course i don't need them. But i want them. I want them so much for so long they have long become a need for me. Is there a need to wear makeup and look better? Is there a need to buy that branded bag? So preach it elsewhere please, thank you =) I am happy with my choice and now that it's been a month after surgery.. I can't be happier with the results. My face is so small now and my chin looks so pretty V in pictures!!!!!!! And~ The laughlines are not obvious anymore~!!! Goodbye zygoma forever. No more protruding zygoma from my 45 degree / side view. Will blog next post of the surgery (sorry i say first.. There will be very disturbing pictures cox my lips were so swollen they were unbelievably scary-looking though they actually don't feel that bad) real soon. For now..
A BIG THANK YOU to REGEN MEDICAL for the wonderful experience..
Everyone just do whatever makes you happy so long as it doesn't hurt anyone else. And if anybody choose to do anything that makes them happy, don't go hurt them. You already look gorgeous. I guess you should try and reduce the no. 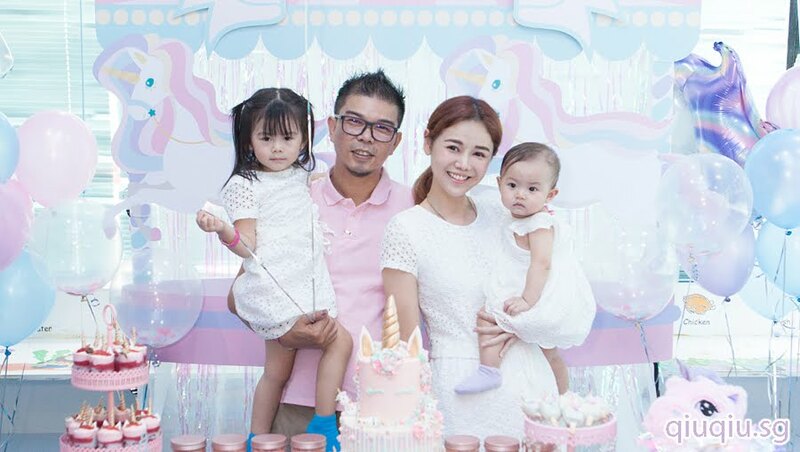 of plastic surgery and start planning to have a family. Life will even be more beautiful. Hope your recovery is going well. I wish I could get V-line surgery! Looking forward to your other surgery posts. you are so inspirational Qiu! You're right, life is short. Just do what you want. In the end, you're the one with a chio face and you get to live your life chio-ly. Even if you suffer a lot of criticism (which I hope not), your life is SO much better than them, and WITH A CHIO FACE. :D All they can do is hate on you, but with a non-chio face. Maybe even a non-chio personality. but from one caring human to another, I sincerely hope u don't get caught up with pursuing physical perfection--it's simply not attainable! * O * I really hope that his recovery is good and that everything goes well! I think you're very nice and after your surgery you will look even much more, beautiful places that korea has undoubtedly always be my favorite decoration, the food and everything. Greetings! Hi, do you mind sharing the cost of the surgery? May I know how much is the V line surgery at Regen? Can u share with us the cost of the surgery? I really like and love the way you blog. Blogging your personal life also sharing about your surgery, nose job and etc. was really courageous of you. Well, there are also blogger who also do post about their surgery experience, but not all blogger do that. And you guys really inspire me to blog. Though I am an on and off blogger, because I still hesitate to open my life to public I guess. I hope you will address the pain levels in your surgery part 2 post. I'm sure the pain is worth it to you but I think readers and potential plastic surgery candidates need to know the reality of pain (and the extent of it) as a fact. I'm sorry but this is ethically wrong! You went from being a very beautiful young woman to looking like you've had several plastic surgeries and now you look odd. What doctor would do this to a woman??? And why are so many women ruining their faces? It's horrendous.